Muppet Babies premieres March 23rd on Disney Junior. The classic 80s children’s television series, Muppet Babies, returns this week on Disney Junior, and many parents are excited to show their kids what they grew up on. The whole gang is back: Kermit, Piggy, Gonzo, Animal, and Fozzie. Well, almost the whole gang. This reboot features a brand-new character named Summer. She is a penguin who loves art. Unfortunately, this addition comes at the expense of a fan favorite baby from the original – Scooter! Needless to say, I am outraged at this decision. How dare the showrunners just cast the bespectacled Muppet away! Summer is a terrible replacement. First off, she’s completely original, meaning she has no adult puppet version. Will she die in the series finale and never make it to the movie timeline? Also, she is a clear attempt to close the gender gap; this purple penguin is obviously there just so Piggy won’t be the only girl. 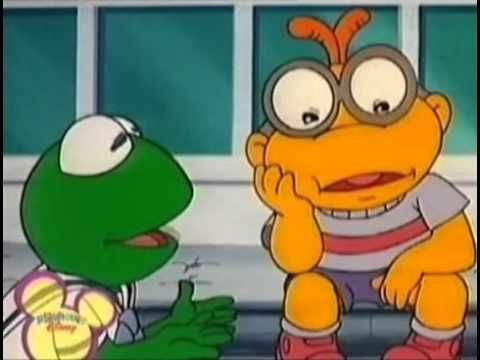 Any self-respecting Muppets fan would know to just include Scooter’s twin sister Skeeter. Ridiculous. The absence of Scooter makes the rest of the show hard to enjoy. I began bopping my head to the new theme song, performed by Hamilton’s Renée Elise Goldsberry, but the rocking dance moves came to halt when there was no mention of, that’s right, Scooter. Hold up. As I was writing this piece, it has come to my attention that Rowlf is also nowhere to be found in the new show! CURRENTLY FUMING. Please join me for a (mostly) peaceful protest outside the Disney Junior offices, this Saturday at 12pm. Signs and light refreshments will be provided. Found this piece to be quite amusing. Good write up.